American Test Lab of South Florida, (ATL), is a name synonymous with reputation, integrity, experience, timeliness, professionalism, and value. 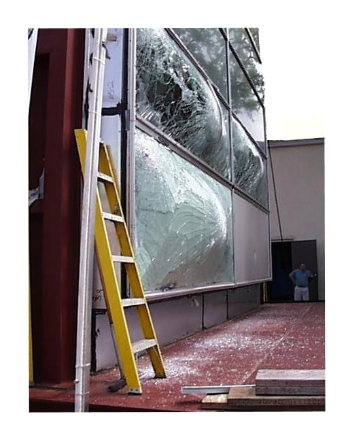 Established in 1994, ATL has been a leader in Fenestration, Exterior Wall, Roofing, and Hurricane Protection Product Testing. Our State-of-the-Art, air conditioned, testing facility offers a comprehensive scope of testing services for Research & Design as well as Product Approval in pleasant atmosphere. Our mobile laboratories can provide these services at your facility as well as jobsite performance testing of installed systems, new or old. Our client business center features a relaxing environment with WiFi, cable TV and monitors to review filmed tests, and a large conference table. We are a Miami-Dade County, State of Florida, AAMA, Keystone, and NAMI Certified/Approved Laboratory with ISO/IEC 17025 Accreditation. We are experts in Miami-Dade County, ASTM, and AAMA test methods.